What a run here by Tito Tebaldi as they gets over the gainline!. Bath make a substitution with Jack Wilson coming on. Bath make a substitution with Max Clark coming off. Josh Lewis converts the try. That's a great try assist by Francois Louw. A stunning solo try from Aled Brew. Aled Brew makes the break as the defence re-enacts the parting of the red sea. Bath sub Zach Mercer comes onto the field. Tom Dunn departs for Bath. 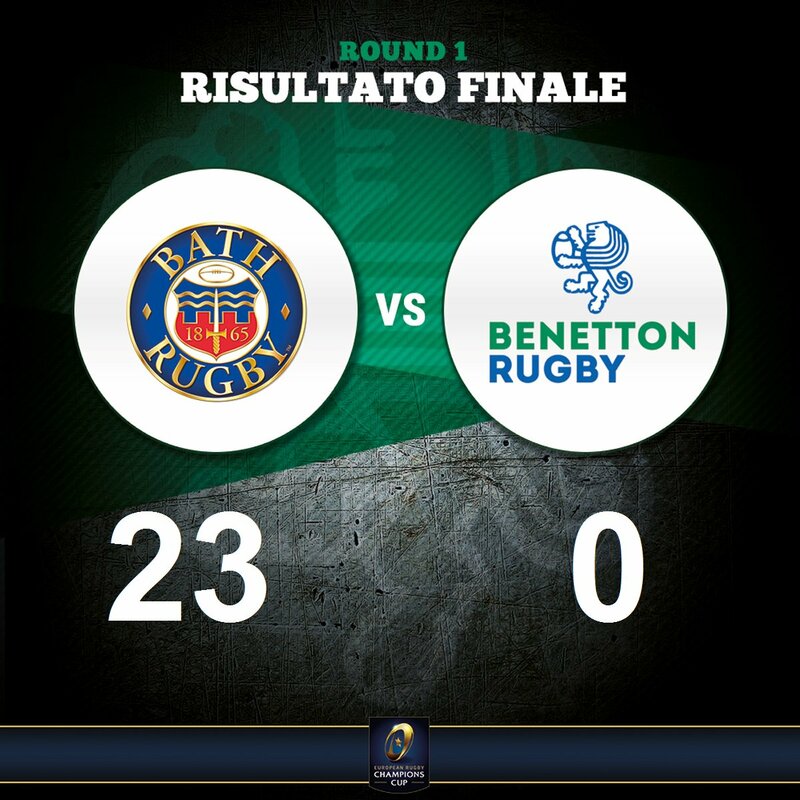 Benetton have won 120 rucks so far this game. Tito Tebaldi comes on for Benetton. Ian McKinley leaves the field. Benetton decide to make a substitution, with Andrea Bronzini getting some game time. Benetton decide to make a substitution, with Francesco Minto being replaced. Benetton make a substitution with Tizano Pasquali coming on. Benetton make a substitution with Simone Ferrari coming off. Bath sub Kahn Fotuali'i comes onto the field. Tom Dunn (Bath) is shown a yellow card. Benetton have won 100 rucks so far this game. The opposition have charged down Josh Lewis drop goal attempt!. Fabulous play by Benetton has led to Alberto Sgarbi being able to wriggle through a gap. Trouble here as Chris Cook breaches the defence. Josh Lewis makes no mistake with that penalty goal attempt. Marco Fuser (Benetton) is shown a yellow card. Benetton decide to make a substitution, with Federico Zani being replaced. Benetton make a substitution with Edoardo Gori coming on. Benetton make a substitution with Giorgio Bronzini coming off. Josh Lewis has kicked a conversion. Chris Cook sets up the try. Great hands by Bath leads to a try for Zach Mercer. This is dangerous for the defence as Semesa Rokoduguni bursts through to advance the Bath attack. Try saving tackle made by Semesa Rokoduguni. Nick Auterac (Bath) is shown a yellow card. What a tackle there by Aled Brew as he saves a certain try!. A gap opened in the defence and Sebastian Negri took full advantage. The defensive line has been broken as Sebastian Negri goes through the gap. Josh Lewis kicks the penalty. Josh Lewis has kicked a penalty goal. 📸 Big night under the lights at Sandy Park. 79' | Watson backtracks to is 22 after the Benetton kick forward. Lewis kicks the ball dead to close the game. 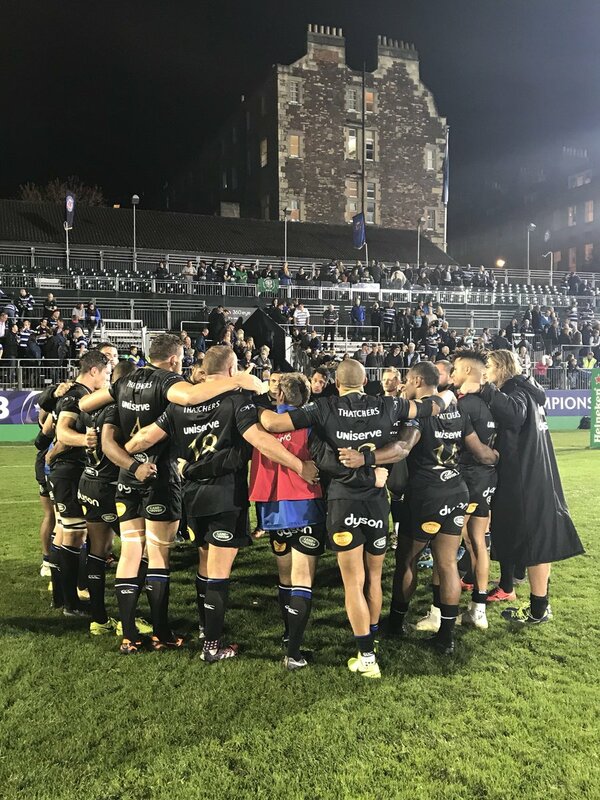 78' | Into the last two minutes of play here at the Rec and Bath have the line-out on their 22. 78' | Faletau rips through the Benetton defence, but Bath lose the ball in the resulting phase. Scrum Benetton in their 22. 76' | Bath try to take a quick line-out, but the referee calls play back and it's take two. 75' | Charles misses his man at the line-out and play is back with Benetton. 74' | Bath grinding out the hard yards at the maul and the referee signals for the penalty. Lewis slots the ball into the Benetton 22. 74' | Rokoduguni showing all his experience to drag his man to touch after the up and under from Fotuali'i. Bath line-out on halfway. 73' | The ball is with Benetton in the midfield and Gori sends it high to Watson, who gathers and offloads to Faletau. 72' | Lewis adds the extras. Eight minutes to play and Bath with a 23-0 advantage. 70' | Penalty Bath at the ruck and Lewis gives his side another 40m. 69' | Mercer returns to the field and Bath back to 15. Charles remains on the pitch replacing Dunn. 67' | Bath back on the defence in their 22, but Benetton are still trying to find a way through. 65' | Faletau picks up the loose ball in his 22, but Fotuali'i slices his kick to touch. 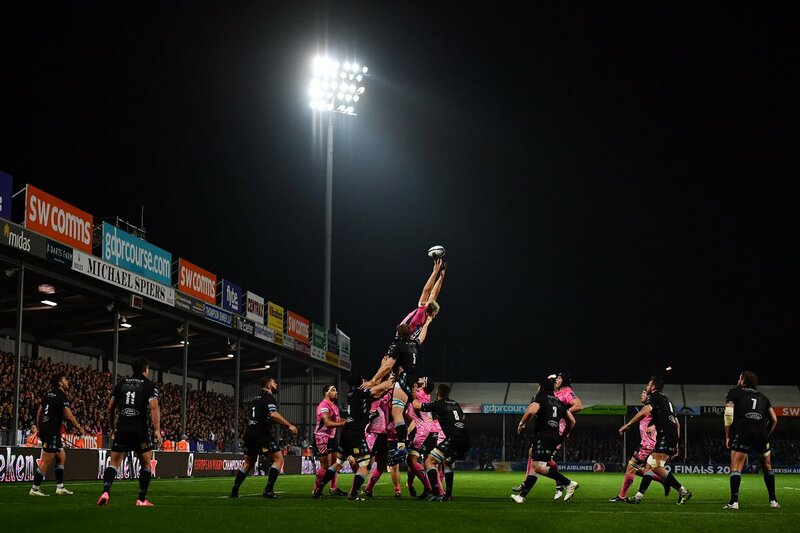 Line-out Benetton on the Bath 22. 63' | Patient build-up play from Benetton, but their kick through is too long and Brew touches down to give Bath the 22 drop-out. 62' | Benetton back on the attack and into the Bath 22. 62' | REP - Obano for Auterac, Phillips for Stooke. 61' | Free-kick Bath and Lewis sends the ball high. which is gathered by Andrews. Bath then knock on through Ewels. Scrum Benetton. 60' | Baravelle not straight with his line-out, and Bath now have the scrum on their 10m line. 57' | Lewis has his drop goal attempt charged down, but Bath regain possession. 56' | Turnover Bath and Joseph with a defence-splitting kick, which Brew chases. Bath bundle McKinley into touch. Bath line-out in the 22. 55' | Scrum Bath on halfway. The home side still with a 16-0 advantage. 54' | Cook with a high kick and McKinley loses forward under pressure from the chasing Rokoduguni. 53' | McKinley attempts to find Brex with a cross field kick, but the ball goes straight to touch. 53' | Sgarbi breaks through the Bath defence with a 20m surge. The Italian side now back in the Bath 22. 51' | The ball goes dead and Benetton now with the line-out in their 22. 50' | Cook with a great break and Bath now up in the Benetton 22. 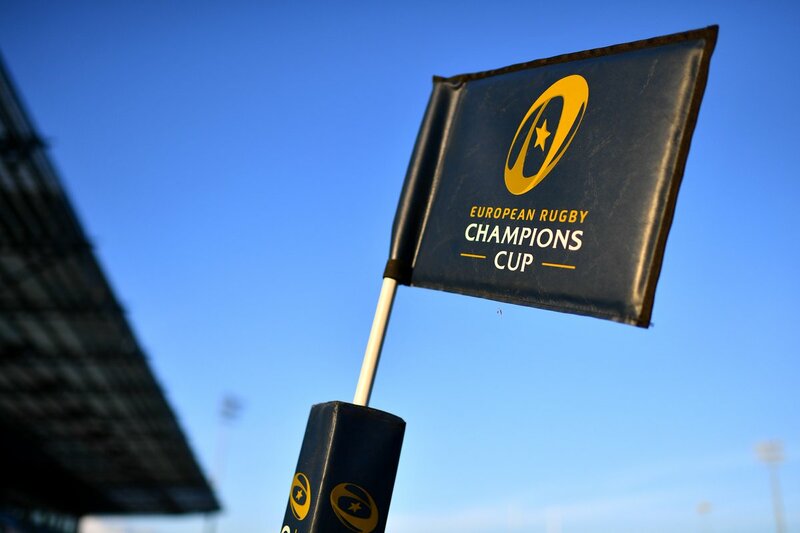 50' | Bath disrupt the Benetton front three and win the penalty. Lewis thumps the ball up field and it's a line-out on halfway.